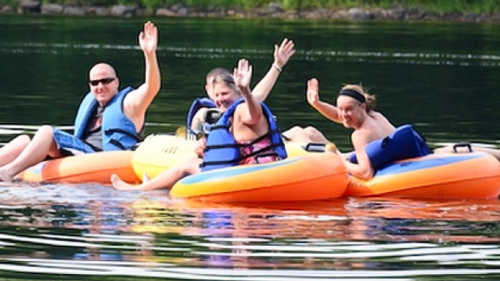 Warren County is home for some of the most spectacular views, cleanest waterways and richest farmland in New Jersey. The county also proudly displays a remarkable history from the eighteenth and nineteenth centuries that stems from wilderness times and rural American heritage. 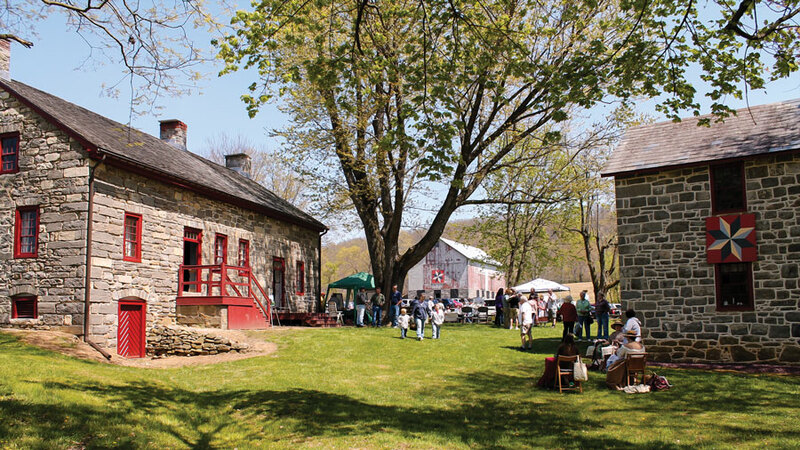 This spring, the Warren County Land Preservation Department again celebrates countywide conservation efforts at the Fifth Annual Warren County Preservation Day, this year hosted at the historic Van Nest-Hoff-Vannatta Farmstead in Harmony Township on May 21. The historic Farmstead will be the backdrop for groups throughout the County to showcase their work protecting open space, farmland and historic sites. There will be activities for the entire family, food, music and tours of the farmstead. The historic Van Nest-Hoff-Vannatta Farmstead in Harmony will host this year’s Preservation Day. The Van Nest-Hoff-Vannatta Farmstead reflects three centuries of agricultural practices and rural architecture. At its center is the farmhouse, originally built circa 1755, with an addition extending the house eastward, circa 1810. An amazing little building, referred to as the summer kitchen, sits in the southern yard of the farmhouse. It was built about the same time as the 1810 addition to the house and has a large fireplace where open hearth cooking is demonstrated. An outhouse and smokehouse sit just to the east of the farmhouse. Three wagon houses, built and altered throughout the nineteenth and twentieth centuries, line the gravel drive leading to the massive barn, built circa 1824. A remarkable structure, unlike any other known to exist, the barn’s heavy timber frame is a unique hybrid of building styles with an integral timber hay chute and a central swing post shaped like a turned column painted blood red. The farmstead remained prosperous from its original settlement prior to the Revolutionary War, well into the twentieth century, gaining state recognition for its quality resources and production. However, as the twenty-first century approached, the farm declined, as changing agricultural practices and markets hampered its economic viability, and New Jersey’s Department of Environmental Protection purchased the property in the year 2000. The Township of Harmony, through its Historic Preservation Commission, swiftly stepped in to act as the steward of the seven acres containing the farm’s buildings, which were threatened by demolition. By 2005 the site was listed on the National Register of Historic Places, and preservation efforts were well underway. 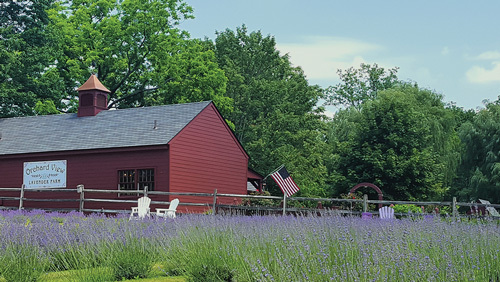 In 2013, the Farmstead received a New Jersey State Historic Preservation Award that recognized the work of the Harmony Township Historical Society, and the officially recognized “Friends Organization” that formed a base for fundraising and volunteers. The other key partner in the historic farmstead’s salvation was Warren County’s Municipal and Charitable Conservancy Trust Fund program. Financed by a portion of Warren County’s Open Space property assessment, the Municipal and Charitable Conservancy Trust Fund (MCCTF) is the county’s principal granting mechanism for non-profit and municipal sponsored open space and historic preservation projects. Each year, a twelve-member committee reviews grant proposals, then prioritizes and makes recommendations to the Board of Chosen Freeholders for the funding of recreation, farmland, and historic preservation projects. Since 1997, 136 applications have been approved, granting $23,140,826 to cover 44.5% of project costs totaling $51,996,570. Bromm also chairs the Knowlton Township Historic Commission, which hosted last year’s Preservation Day at the Ramsaysburg Historic Homestead on twelve acres along the Delaware River. Other MCCTF grantees that have showcased their improvements on Preservation Day include Rutherfurd Hall, where visitors explored the early twentieth century estate and grand Tudor mansion, now a cultural center and museum in Allamuchy. Before that, Hardwick’s idyllic White Lake, and the beautifully restored 200-year-old Vass House, headquarters to another farm full of history, accommodated crowds of eager outdoor enthusiasts and heritage devotees. Future hosts for the annual event might include the historic Asbury Grist Mill, where the MCCTF has assisted in the first phases of restoration. The mill will eventually serve as an educational facility and contain exhibit space for early mill and agricultural technology. 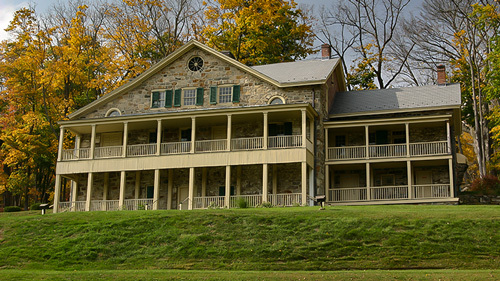 In Phillipsburg, the Fund has assisted in the ongoing restoration of the Roseberry Homestead, an eighteenth century manor on the National Register of Historic Places. Other notable beneficiaries have included historic churches, railroad stations, and libraries. Beyond those structural repairs, the MCCTF has had a hand in the preservation of more than 5,213 acres in open space. 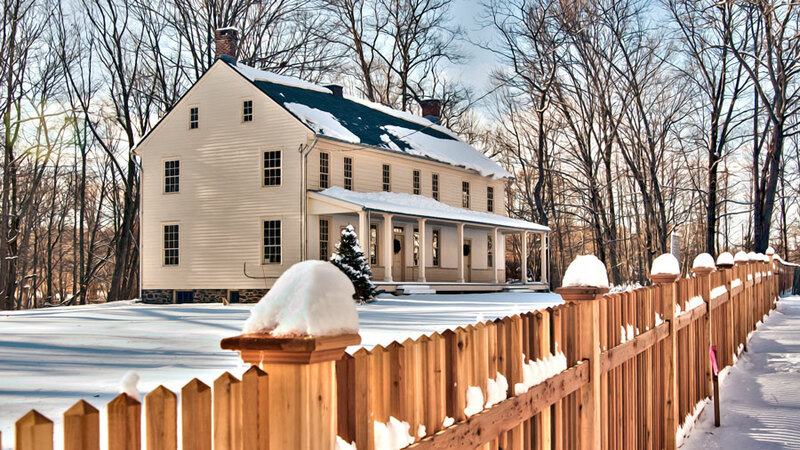 Thanks to Michael J. Margulies, RA, AIA, project architect at the Van Nest-Hoff-Vannatta Farmstead. In addition to Preservation Day on May 21, the farmstead will hold its Spring Open House on April 29 to allow access to the buildings and show the progress of the effort. For more information on the Farmstead, visit the website. For more information on Warren County Preservation Day or if you are interested in participating click or call 908-453-3252.